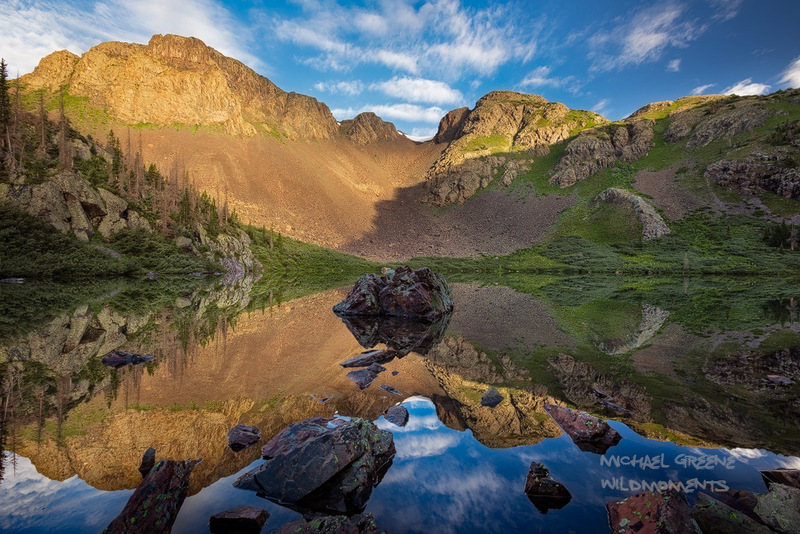 Morning reflections at the incredible Mirror Lake nestled on a cliff in a rugged portion of the San Juans Mountains near Bayfield. . Photo © copyright by Michael Greene.